Let’s say you still manage your properties the old-fashioned way, with a clipboard, pen, and digital camera. Now, let’s suppose your clients found out that there was a way you could save a great deal of time and conduct your inspections of their properties more efficiently. Would they demand that you use it? If you aren’t already using a digital property management application, you might not realize how much time and effort it can save you. Here are 4 reasons why your clients ought to demand that you switch to digital property management—and 4 things they’re likely to thank you for when you make the switch. Your clients know that you have many responsibilities and many people to keep happy, but they still want to feel that you are giving them the time and effort they deserve. With a digital property management app you can import all your properties in bulk, and then keep track of them effectively. A good app will also help you to organize your schedule, something that will also help you to save time and trouble. Your clients are right to expect a lot from you: they are entrusting you with their property, after all. It’s one thing if you absolutely haveto work 50-60 hours a week to do 10 property inspections, but what if you could do the job more efficiently? Wouldn’t you owe it to your clients to be as efficient as you can with the time you spend managing their property? 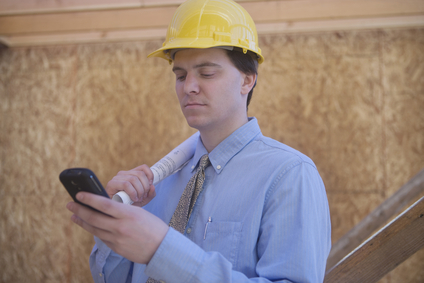 The good news is that with a good property inspection app, you can be. Any time and effort you can save without compromising the quality of your work is time and effort you can spend on providing a better level of service to your clients. If your schedule is less hectic during the busy season, you’ll have not only more time but also more energy and attention to spend dealing with problems as they come up. Your clients will doubtless thank you for it. Next inspection alerts are probably reason enough to switch to digital property management, even if one does not consider the tremendous amount of time it can save. Any experienced client knows that a lot can go wrong on a property: appliances break down, tenants and their pets may do damage, there may be a dispute over rent or conditions on the premises, and the list goes on. Wouldn’t it be great if you could tell your clients that your new property inspection software had a feature that would remind you of when to carry out that next inspection? The advantage of next inspection alerts is considerable: this feature can help you to keep track of when you need to check on something again. You will probably find this helpful not only for reassuring clients, but also for simply remembering to look at something the next time you are around. In sum, digital property management is a great way for you to get more done in less time. The benefits of increased productivity are considerable, both for you and for your clients. The plain and simple fact is that using a good digital property management app will save you time and effort, and time and effort saved will very likely lead to more problems being caught and solved before they get any worse. This is why your clients should demand digital property management.